After lots of planning and money saving (and worrying), I am just about ready to leave. After a month based in Slovenia and a week in Croatia, I'll be volunteering in Romania as a teacher. I plan on ending my trip in Turkey before heading to Akron for Thanksgiving. Stay tuned. Have fun. 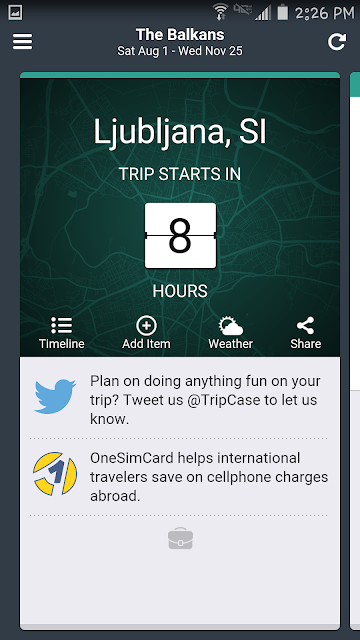 I'll be going to Ljubljana and Croatia this coming January; so you can give me some tips. Hi Mike - you must be just about ready to leave. Let me know if you have any questions.